Offering more than 110 championship golf courses in the Grand Strand region, when you come to play Myrtle Beach golf the hardest part of your trip will be deciding which course to play first. After that, it’s pure bliss! Our Spectacular Super Saver Golf Package will have allow you play 3 nights/3 rounds of Myrtle Beach golf as low as $200 on courses such as Azalea Sands, Beachwood, Black Bear, Brunswick Plantation, Carolina National, Carolina Shores, Crown Park, Cypress Bay, Diamond Back, Eagle Nest, Heron Point, Indigo Creek, Meadowlands, Pearl East & West, Possum Trot, River Oaks, Sandpiper Bay, Sea Trail Byrd & Maples, Valley at Eastport and Wicked Stick. To experience one of the popular local events, check out the Christmas Cantata that takes place on Sat., December 1, 2012, from 4-7 p.m. and Sunday, December 2 from 4-8 p.m. at the Ocean Drive Presbyterian Church; 6th Ave. S. & Hillside Drive, North Myrtle Beach, SC. The Christmas Cantata is an annual tradition and for many the highlight of the holiday season. Church choirs from the North Myrtle Beach area join to create a musical program you will not soon forget. Tickets are required for admission and are available at the North Myrtle Beach Chamber of Commerce. Open to all ages. Call 843-280-5584 with questions. We have some super Myrtle Beach golf packages ready and waiting at courses you’ll find challenging to play. It’s an awesome time of year to play, too. Hurricane Sandy just breezed past us causing no destruction or damage at all so our courses are all intact and ready to play. 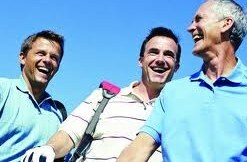 One of our Myrtle Beach golf packages is the Myrtle Beach Free-for-All Package that is fantastic! It includes lunch and 2 beers at each course, 2 large pizzas per foursome, plus same day replays. Choose from Azalea Sands, Carolina National, Crow Creek, Diamond Back, Heron Point, Indigo Creek, River’s Edge, River Oaks and Sandpiper Bay. Because we know how much everyone loves a down home southern barbecue festival you won’t want to miss the 44th Annual Belin United Methodist Church Bar-B-Q & Bazaar taking place on Saturday, November 3, 2012 from 9 a.m. to 4 p.m.. Delicious BBQ, homemade foods and crafts and family entertainment add up to a day of fun at the church’s Family Life Center. Bar-B-Q plates consist of Bar-B-Q, baked beans, slaw, rolls and buns, all cooked and prepared by the men and women of Belin. Available for dine-in or take-out. Bar-B-Q also available by the pound. Tickets will be available at Lee’s Inlet Apothecary, 3579 Hwy 17 Business, or at Belin Memorial United Methodist Church. Call 843-651-5099 for more information. Just because it’s Halloween doesn’t mean you can’t play Myrtle Beach golf. We get that. 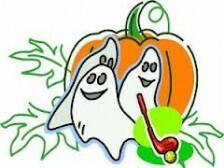 That’s why we have great golf deals going on during this holiday that you just can’t say “boo” to. You can spend the whole day and half the night out on the courses of your dreams if that’s what you’d like to do. There’s nothing scary about that at all. But we can’t promise you won’t see any ghosts or goblins while you’re out playing Myrtle Beach golf. It is, after all, that time of year! If you want to do something more traditional and grownup for Halloween we’ve tracked down some events for you. Halloween on the Marshwalk begins at 5 p.m. on October 31, 2012, at the Murrells Inlet Marshwalk. Kids can enter a costume contest and win fun prizes. Later that evening, adults can compete for $2,000 in cash and prizes for best costume! Come out and enjoy plenty of fun and fright at the Marshwalk. The kids’ costume contest will be held at 6 p.m. The adult fun begins at 7 p.m. Final judging for the adult costume contest will be held at 10:30 p.m.
Come spend part of Halloween at Hard Rock Café they will be celebrating the holiday with a Halloween For Kids event on Oct. 31. This event starts at 11 a.m., is free and open to the public. Kids meals are free all day on Halloween. To find the best Myrtle Beach tee times for when you’ll be in the area be sure to check out our website where you’ll be able to choose among a vast number of packages. You’ll also be able to schedule your Myrtle Beach tee times on whatever courses you decide you want to play on. It just doesn’t get any more convenient than this. At MB Golf we aim to please because we want you to keep coming back! Here are some events taking place in the area. Check out Carolina Improv Company’s “Whose Haunting Is It Anyway?” show at 7:30 p.m. Oct. 26 and 27. This Halloween-themed comedy will put the cast to work with audience suggestions about all things Halloween. Tickets are $11. Get your groove on at Voodoo: A Halloween Party on the Deck at the House of Blues in North Myrtle Beach. The costume party starts at 9 p.m. Oct. 26 and features voodoo dancers, live music, contests, drink specials and more. Admission is $5 in advance or $10 at the door. Must be 18 and older. If you really want to get your heart pumping, head into downtown Conway for its annual Terror Under the Bridge. Set in an old abandoned warehouse, this creepy landmark is known by some to actually be haunted. Each year they offer new props, actors and brand new layouts of the warehouse itself. The event runs from Oct. 27 through Halloween night with doors opening at 7 p.m. each night. Tickets are $10, and the warehouse is located just off 2nd Avenue in downtown Conway, South Carolina. Golfing is one of the most popular sports and when you’re planning an upscale golf vacation, not just any course will do. If you are seeking an attractive location to play, comfortable accommodations, somewhere near exciting places that will provide nightlife off the course, then check out our Myrtle Beach golf packages. We not only have a large selection of championship courses for golfers to play, these Myrtle Beach golf packages present you with some great deals. Even for the most upscale golf experience in Myrtle Beach, our prices stay affordable. With our packages you can choose from among the best courses to play, whether to stay at a lovely hotel resort or condominium, and enjoy free meals and beverages. 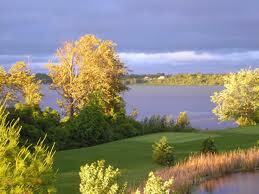 A golf package with lodging integrated into it consists of golf, accommodations, and cart charges. You will be provided a list of accommodation locations to choose from. If you opt for a package without accommodations provided for, you’re permitted to locate your own from the wealth of available vacation rentals throughout the area. This is a good opportunity for residents in the area to take advantage of well-priced packages when they don’t require lodging. Don’t forget about our Best Rates Available – Guaranteed deal either. We will beat or match any advertised Myrtle Beach package price! Call one of our professional staff members at 800-422-1587 for more information on this or with any questions you might have. If you’ve never been golfing but you’re toying with the idea of giving Myrtle Beach golf a try, we have some information that might help you with your decision to play as well as your understanding of why some people play. There are many different reasons why people agree to become Myrtle Beach golf newbies. Some do it to fit in socially with friends, family or coworkers while others have played since they were kids because it’s just what their friends did. When you’re considering taking up golf as a sport or pastime it’s up to you to make the ultimate decision whether golf is fun for you or not. We recommend you get some instruction on the proper techniques for using the clubs and playing a game. You can probably borrow some clubs for this or invest in a beginner set if you think you’ll stick with it for at least a season or two. Golf is more mental and less physical. It is a game of mental focus and strategy. You’ll use your mind, your senses and your ability to time and coordinate movements. You’ll learn to judge distances and correlate those distances with the amount of force to apply in your swing. At the same time, you must aim your swing and account for any factors that might change the direction of the ball, such as wind or rough terrain. The sport of golf has the potential to be good low-impact exercise if you walk the course rather than ride a cart and especially if you carry your clubs rather than cart them. Then there’s the golf swing that utilizes muscles in your arms, shoulders, lower back and abdomen. All give you a pretty good workout. Golf is a game of respect — for the rules and for other players. There are no “tackles” or “stealing”. Everyone takes their turn in an orderly fashion, and keeps an eye out on the location of other players at all times so as not to strike them with a club or hit them with a golf ball. All things considered, it remains primarily a civilized game that even children can learn to play with ease. 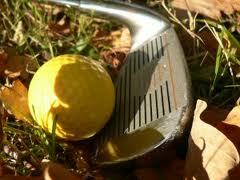 For those who are new to golfing, you will want to get out and play as often as you possibly can. Unlike other sports, where you can just show up and start playing whenever you like, golf etiquette requires that you book tee times on golf courses ahead of time, so that the golf course knows when you are coming to play. This makes it more convenient for you as well, because you do not have to wait in line to tee off when you get to the course. When you reserve Myrtle Beach tee times you can play when it best fits your schedule. Reserving Myrtle Beach tee times is as easy as going to your computer. By using MBGolf.com you’ll see local golf courses listed as well as tee times, making it simple for you to see what is available on which days. You’ll have your choice of packages, courses, dates and times that you are looking for. Your package can also include accommodations if you so choose. Booking your tee times online yourself is easy as making a hotel or any other reservation. In addition, you can receive some incredible discounts if you check out the Last Minute Tee Time Deals. Book those courses on our website within 48 hours of play and you can save big or call our golf department at 800-422-1587. Golfers come to Myrtle Beach from all over the world to enjoy the many championship golf courses located in this beautiful coastal city. Near the ocean, fine dining and world-class entertainment, Myrtle Beach is an ideal destination for those looking for a fabulous vacation spot, and the residents are already acquainted with the area’s charms. Both groups can take advantage of the pleasant weather and scenic beauty by booking Myrtle Beach golf packages at your favorite courses. 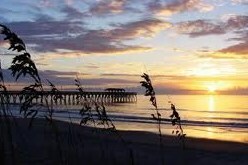 You can find Myrtle Beach golf packages in a couple of different ways. You could visit the golf course to reserve your package, but not everyone can afford the time to do so. 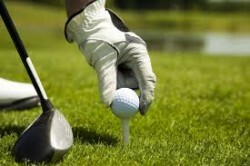 Easier and quicker is selecting among the golf packages at MBGolf.com. You can choose from several golf packages and select the time and course that works best for your particular schedule on any given day. You can also look for the best deals when you book online; making comparisons of prices on different courses can save you money. You will notice that tee times are less expensive during the middle of the day, so you can pick up even more savings if you can schedule your tee times then. Also consider the benefits that each course offers. Perhaps you want to improve your game; if that’s the case consider a golf package at a course that provides professional instruction. You may simply need to hit a few balls for practice, and so it makes sense to determine if the course in question offers a driving range, practice bunkers and putting greens when you are ready to choose a course.